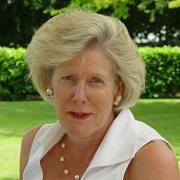 Zara Kimpton was appointed National Vice President of the Australian Institute of International Affairs in 2010. She completed her BA in Political Science, Fine Arts and Economics at Melbourne University. She subsequently pursued a career in stockbroking with William Noall & Son in Melbourne, the mining/investment industry with Consolidated Gold Fields Australia in Sydney and banking with Banque Nationale de Paris in Melbourne. She then worked in New York in the interior design industry and later ran her own business in this field in Melbourne. Zara joined the council of the Australian Institute of International Affairs Victoria in 1997 and was President from 2003 to 2006. She was made a life member of AIIAV in 2007. She has been involved in AIIAV study tours to South Africa (1996), Sri Lanka (2003), Russia (2008), Vietnam (2001) and China (2012) and led the tours to South America (2000) and Indonesia (2009). Zara chaired the national Fundraising Task Force in 2007 and is now the National Patron of the Friends of the AIIA. She has also represented the AIIA at conferences in Malaysia, Japan, Republic of Korea and the United Kingdom and in 2017 was a delegate to the Women 20 (W20) summit in Germany. She was the leader of the Australian delegation to the W20 Argentina 2018 summit and continues in this role for the Japan W20 2019 summit. She is currently a joint proprietor of a cattle and sheep station in north-eastern Victoria. Apart from international affairs her main interests are travel, the arts, tennis, horse riding, hiking, and speaking French. In 2011 Zara was awarded the Medal of the Order of Australia (OAM) for service to international relations through executive roles with the Australian Institute of International Affairs Victoria.